BREAKING NEWS: Proposed anti-homeless park ordinance withdrawn!! On January 28, Corporation Counsel Victor Bolden told the New Haven Register that he was considering seeking leave to withdraw the legislation. (Read more here.) On January 29, New Haven Alderwoman Jessica Holmes told us in a public meeting that any new legislation should come from a working group where homeless and low income people and those who work with them are represented. This is a step in the right direction, but it is only the beginning! We have made it clear that any conversation about the New Haven Green needs to center the voices and needs of homeless and low-income people. The time is now to move that conversation forward and talk about the kind of inclusive, economically just community that we are really trying to build. This Wednesday, join us for lunch on the Green as we model that community. We will raise our voices in song, bless and break bread together, and provide a space for people to speak out about their experiences. Together, we will begin to dream and practice the beloved community and true justice that our campaign against this ordinance has been trying to create. 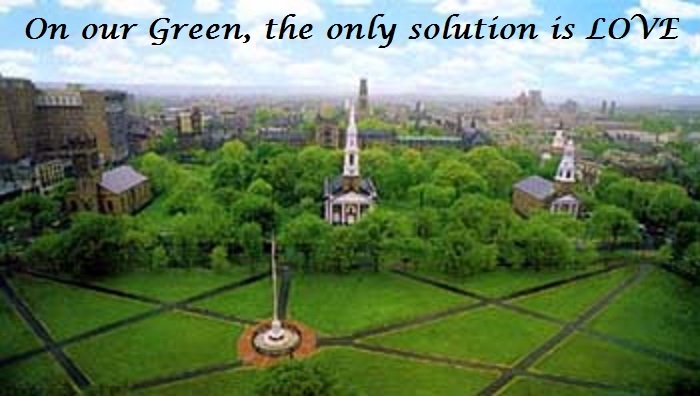 Sing-In, Soup-Up and Speak-Out: Defending the New Haven Green and Building Power for the People – details here./Canta, almorza, y movilízate: Defendiendo el New Haven Green y construyendo poder para el pueblo – detalles aqui.